This is my second outing to this show, having first seen it three years ago: I mustn’t leave it so long until my third. The huge set, plays on words, skilful choreography and engrossing acting combine to provide a more than satisfying experience to be enjoyed by all. 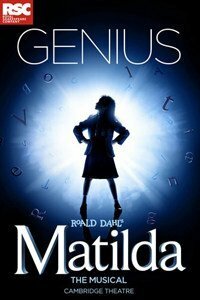 It’s as much of a work of genius as Matilda herself. Age Restrictions: Suitable for ages 6 and over.